As I’m sure most people know, Germanium transistors were the first ones to be used in Fuzz pedals. I’m always fascinated by the idea of “Mojo” – that special undefinable quality. 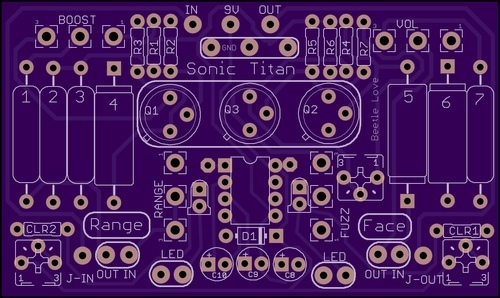 So I’ve been playing with PNP Germanium transistors on breadboard for a couple of months. 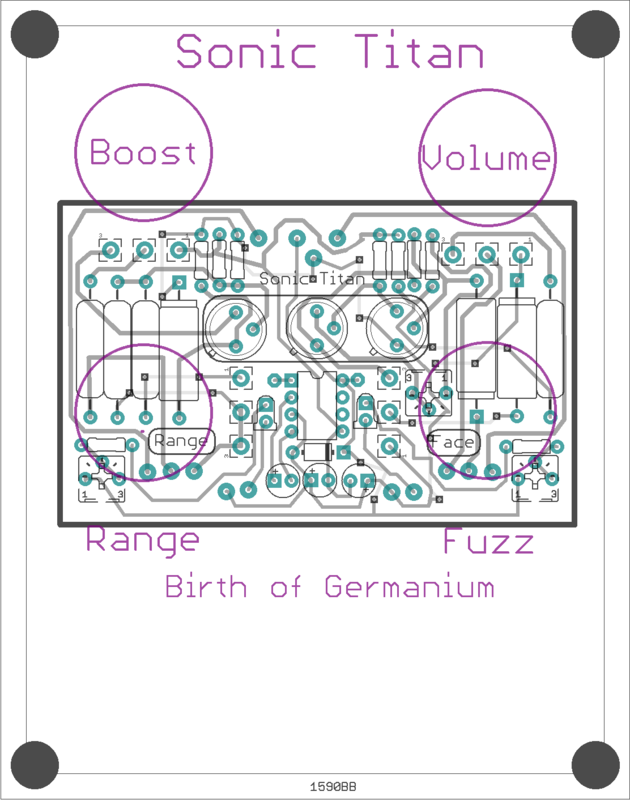 The first one “Germanium Birth” is a stock standard Germanium PNP Fuzz Face and Rangemaster Treble boost. 2. Added a “Range” knob to go from Treble to full range boost. The objective was to get an accurate reproduction of that “first” mojo filled sound. 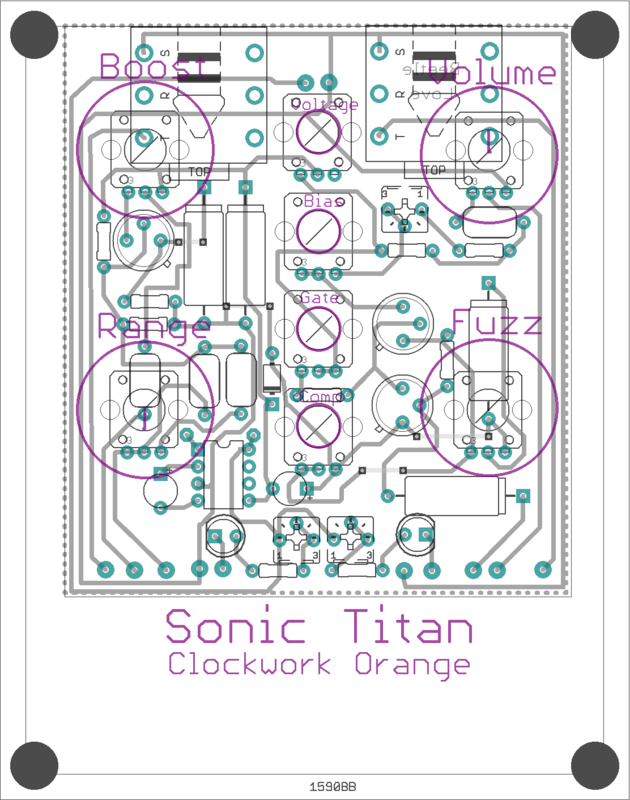 The second one “Clockwork Orange” has the same “Germanium Birth” foundation but it has a number of different mods that make the circuit a lot more interesting and useable. 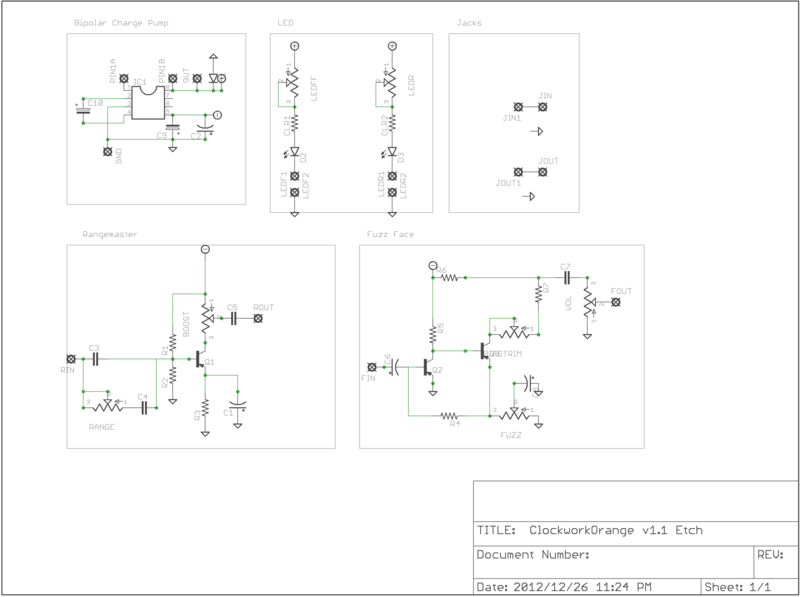 I’m still playing around with it on breadboard but here’s the preliminary layout.